The Kern County Sheriff's Department arrested NW Bakersfield daycare provider Shannon Perkins, after her live-in ex-boyfriend reported her to the sheriff’s department, saying he had video of her abusing a child. BAKERSFIELD, Calif. — The California Department of Human Services, Community Care Licensing Division has suspended a Bakersfield daycare provider's license after an investigation showed she had dropped and choked a child. According to the department, a Temporary Suspension Order has been served to Shannon Perkins after they determined there was "an immediate risk to to children in care at the Perkins, Shannon Family Child Care Home." 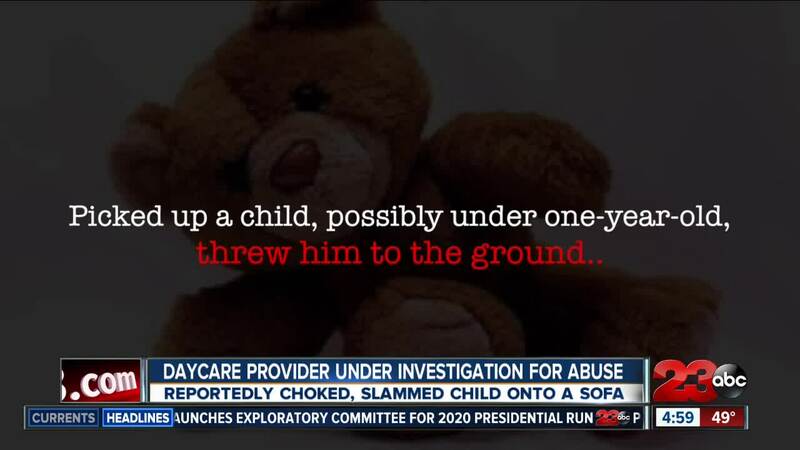 According to the Department of Human Services, on December 27, Perkins let a child "drop from waist-high to a sitting position on the floor, causing him to cry upon the impact." Perkins then "threw him on a blanket on the living room couch as he continued to cry." The department says Perkins began arguing with another adult while wrapping the child in a blanket in a "aggressive" matter. Lastly, Perkins picked up the child and turned him over on her lap, "causing his head to thrash about," the department says. The department says on the same day, Perkins began arguing with the same adult. During that argument, the Department of Human Services says Perkins "flopped" the child onto the couch and began changing him as he cried. She then "grabbed him by the throat and with both hands, violently shaking him and choking him as he continued crying and gasping for air." The department says Perkins "then struck him with an open hand on the back of his head three times." According to the Department of Human Services, the closure became effective at 6 p.m. on Friday, January 4. Shannon Perkins was arrested on December 28 by KCSO after investigating her for child abuse. According to court documents, she bailed out of jail and is expected back in court on January 11. Perkins was also a former employee at Lil' Explorers . Lil' Explorers confirmed to 23ABC that Shannon Perkins was an employee at Lil' Explorers from 2011 to December 2016. According to Lil' Explorers, Perkins was "an exemplary employee and was never written up." Lil' Explorers said she left the daycare to start her own daycare business.